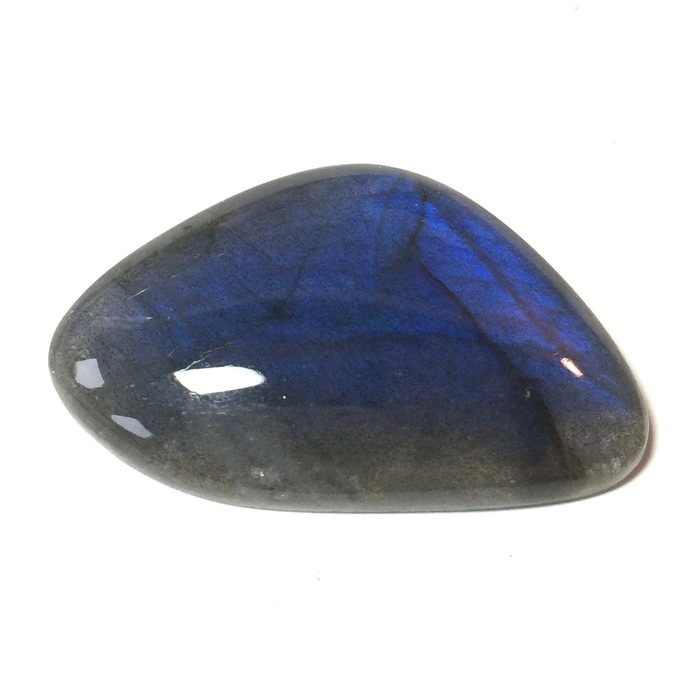 This is an awesome specimen of labradorite with a bright blue fire to it. Truly beautiful You will not be disappointed with this gem! ***This gem is awesome!! 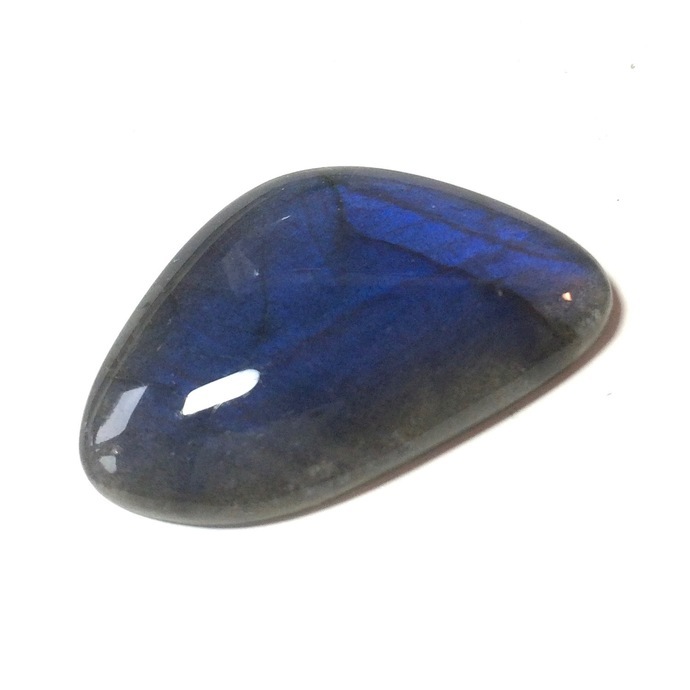 It's blue reflective or iridescent glow, known as labradorescence, is really amazing. These cabs are AAA quality rated. Sorry about the reflection on the gem. They are very shiny. ***This gem does have some inclusions. - Cracks- also called fractures, breaks or feathers. Straight flat cracks are called cleavages.